Preventing cyber attacks requires focusing on adversaries rather than the technology used to stop those adversaries, the retired deputy director of the National Security Agency (NSA) said Wednesday at MeriTalk’s Fourth Annual Cyber Security Brainstorm. And have the wrong goal. Organizations must focus on their data, he said. “What really matters in cyberspace? More often than not it’s the data,” Inglis said. Building a secure network is incredibly difficult, Inglis said, and that underscores the shortsightedness of focusing on technology rather than data. After organizations suffer an attack, IT staffers typically are the people held accountable, Inglis said, but users – employees – often are the ones responsible for a data breach. To improve an organization’s defenses and reduce the potential for an attack, all users must improve their understanding of cybersecurity and strategies to steal data, he said, so they don’t fall victim to phishing scams or other attacks. 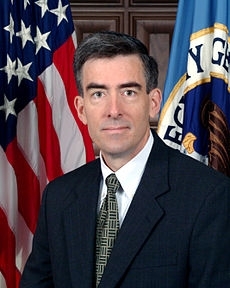 Organizations too often are reactive in efforts to stop cyber attacks, Inglis said, establishing strategies following a breach. Working harder to understand the behavior of their adversaries would help organizations prevent an attack, he said.